What the Rep Said: Symmetrical tip to tail (twin tip), but not edge to edge. Not only is it a deeper sidecut on the heelside, but the contact points are closer together also. Your body is asymmetric, your board should be, too. Elliptical C2 camber means more rocker between your feet and less near the inserts. First Impressions: Just looking at it, it's hard to notice the sidecut difference. Weird and wavy graphic. Average to below average weight. Stats/Setup: I'm 6'1" and about 162 pounds as of this demo. I rode the Gnu Impossible Asymmetrical Symmetrical Synchronized Pickle in a 155 with Salomon Dialogue boots (men's 9.5) and Union Force SL bindings at Mt. Bachelor. The Ride: The asymmetrical sidecuts were quite subtle on the snow, but they translated to a real ease of turn initiation. Both heelside and toeside turns came quickly at all angles of attack. As always the Magne-Traction didn't disappoint, holding on to all turns. Granted, the snow was soft that day and it was less icy and choppy than your standard Pacific northwest winter day. Though the powder wasn't too deep, the Pickle performed well for it's size. There's no reason to think it wouldn't hold it's own on a deep day with a little setback. As per usual, I didn't test this board on rails. Bottom Line: I couldn't get my hands on a 159, which would be my preferred size of this board, but the 155 was impressive enough. I feel like this board would be great for all ability levels. A beginner get's the forgiveness, easy turn initiation and edge hold. A more advanced rider appreciates the park skill set. 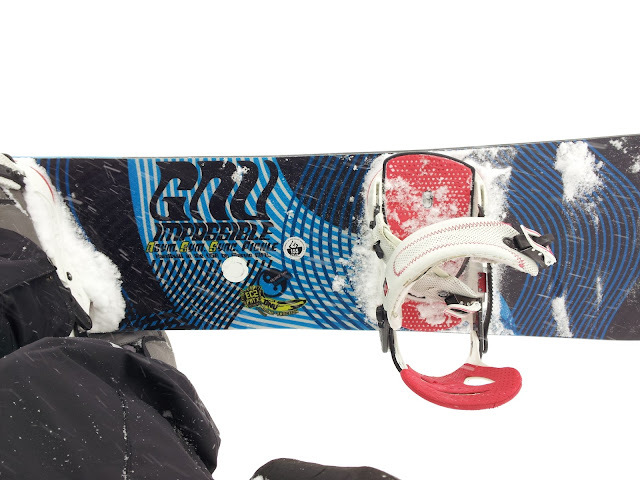 This is a board that can grow with a rider. If only it didn't retail at $800. Awards: The Gnu Impossible A.S.S. Pickle won 2013 Transworld Good Wood and Snowboard Magazine Platinum Picks awards.